What is UPVC in upvc double glazed windows and doors? Does not rot or biologically decompose and will not attract termites. Is resistant to weathering with low maintenance requirements. It retains its shape even within extreme climatic temperatures. It can be reshaped at very high temperature and can therefore be recycled. What is the difference between PVCu and uPVC in vinyl double glazing? There is no difference. Beware of any salesperson trying to convince you otherwise! The letters stand for Un-plasticised Polyvinyl Chloride, so rearranging them does not change the composition of the window or door frame. The benefits of upvc or pvcu double glazing are the same. 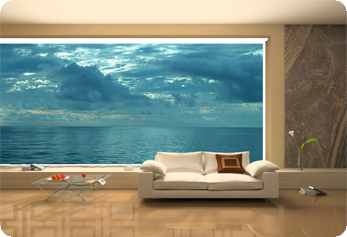 Upvc double glazed windows can also be referred to as pvc double glazed windows or plastic double glazed windows. Should the profile be reinforced with steel or aluminium? In our opinion both do the job equally well . However "salespeople" of our competitors will often make exaggerated claims one way or the other in an attempt to sell their product. Typically the claims are that Steel is stronger - but more likely to rust if the galvanization is removed and Aluminium is not quite as strong - but will not rust. What is not explained is that when screws are inserted into galvanized steel is that a small amount of "swarf" is removed and with that the galvanization. It's possible for the swarf - which will always drop down to the bottom of the frame to "rust". The evidence of this quickly disappears as the swarf oxidises. This rust is not contagious and will not pass to the rest of the reinforcing. We can manufacture according to builder's or architect's specifications, if they have a preferred method, so we are flexible enough for you to get exactly what you want and enjoy al the benefits of double glazing. We feel it is more important to check the quality and design of the window system and not whether Steel or Aluminium is used for reinforcement. What is the best option for double glazing - toughened glass or laminated glass? Both Toughened glass and Laminated glass in double glazed windows and doors, are forms of "safety" glass. Many people mistakenly assume that toughened glass has some form additional strength or "toughness", capable of withstanding considerable force or impact. Toughened glass is not the same as bullet proof glass, but it is safer to break than float glass as it will not break into sharp, dangerous blades, but rather into small, blunt pieces that will not slice or cut in an accident, and the worst that might happen is a few minor scratches. Laminated glass will crack when it is hit with force, but it's unlikely to smash because of a thin layer of laminate that will hold the broken glass together. However, it can be dangerous in any situation where you may need to break glass to escape (such as a fire). This quality of glass can be an advantage if security is a major consideration. Laminated glass is also slightly thicker - usually 6.4 mm - and as such will offer better insulation. Also, Laminated glass is much heavier than toughened glass and will produce more wear on the hinges. Remember that there may be a legal requirement to fit safety glass to some openings such as doors and large windows close to the floor, where there may be danger of injury when falling against it. The cost difference is marginal, and we therefore recommend that you consider which is the best for your circumstances, without being motivated by price. What are the advantages and disadvantages of pvc in double glazed window frames over aluminium and wood? How should I care for my upvc double glazed windows and doors? Once or twice per year we recommend cleaning and oiling visible moving metal parts, particularly door locks and 'friction stay' window hinges. Do not use liquid detergent in the water when cleaning the seals - it attacks and degrades them. Use a squirt of cream cleanser in warm water on a cloth to clean white uPVC. Do not use acetone or acetone based cleaning solutions. Keep the sliding Patio Door tracks brushed clean of mud, grit and dust. It is not reommended that you lubricate the track because that may cause an accumulation of foreign particles which may make it harder to clean. What is the difference between internal and externally glazed windows? Internally glazed windows have the glazing beads, which secure the double glazed unit in place, on the inside. Externally glazed windows have the glazing beads on the outside. For security, most professionals would recommend internally glazed units, as it is not possible to remove the glass from the outside. Transoms and mullions are usually welded with internally glazed pvcu systems and mechanically fixed with externally glazed systems. For higher buildings with more than just ground and first floor, it is easier to fit internally glazed windows as most of the work is done from the inside. We do offer both options with our double glazed windows and doors and can show you the difference, but recommend internal glazing for most jobs. I was approached by aluminium and wood window companies and they are saying that pvc double glazed windows will melt in Australian conditions - is this true? Upvc double glazed windows are not made of snow, but of a rigid plastic that has been tested and found to outperfom common wood and aluminium frames on a variety of important factors. Unfortunately, the sales people employed by some of Australia's largest companies are not technicians and care more about their commission then about the integrity of their statements. They are well trained in sales techniques but their knowledge of cutting edge technology leaves something to be desired and so they make up wild and imaginitive stories just to get by. In fact, many of these salespeople dont even know that the same companies that they work for, are in the process of creating upvc window making departments, after realising how poorly their aluminium or wooden windows perform compared to ours. We challenge you to ask these salespeople if they have everbuilt a upvc window and if they have ever seen one actually melt. We have the confidence that the intelligent consumers will be able to tell the difference between fact and fiction, and it is the intelligent consumer, after researching the options chooses the UPVC products from Double Glazed Windows and Doors! What is secondary (Double) Glazing? Secondary glazing is another window fitted on the inside of your existing window, it is sometimes referred to as secondary window/s. Secondary glazing can be used in addition to single glazing in particularly noisy areas, proximity to airport or a busy street. It could also be used when existing windows cannot to be replaced and are single glazed, e.g. in a listed heritage building. I am looking for supply only, as my builder will be installing the double glazed windows in our extension/ house. Is this possible? Yes! We will even provide a free consultation for your builder if they have not worked with pvc window frames before - to ensure a trouble free installation.